for October 17–18 at the Hillsborough and San Mateo campuses. 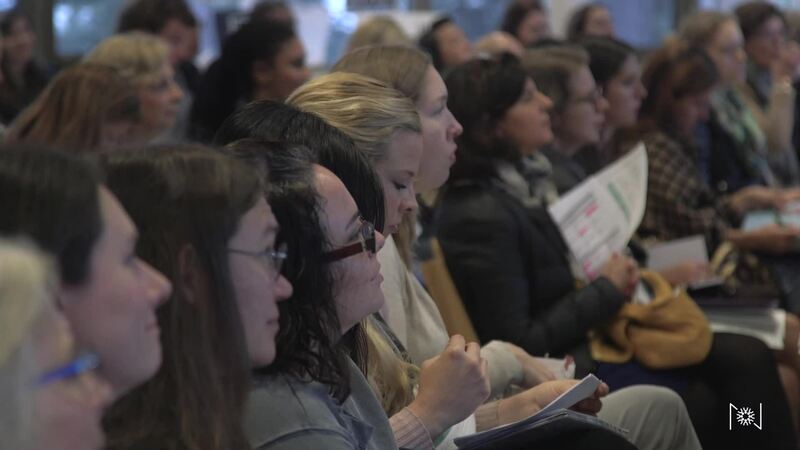 Every two years, educators and innovators from around the world convene at the Nueva School for the Innovative Learning Conference (ILC) to discuss and share ideas about many of the most challenging, critical issues facing education. The biennial ILC provides meaningful resources and inspiring direction for educators, researchers, parents, and students. The conference uses a broad range of topics to provide innovative learning strategies for all learners and educators. Nueva hosted its first ILC in 2007 to gather thought leaders from around the country and share insights and research from innovative institutions with the broader educational community. Since then, the ILC has grown to feature more than 75 speakers and attract more than 1,200 attendees from around the globe. The conference features lively discussion among preeminent speakers, scholars, educators, parents, community members, and students. "The chance to hear from international thought leaders on a range of pressing issues for educators today is a luxury that everyone should indulge in." The 2019 ILC will take place on Nueva's Hillsborough and San Mateo campuses. On Thursday, October 17, educators will have the option to attend sessions at either campus. Attendees may only attend one campus on Thursday, so please make sure you have considered both options. All Friday sessions will take place at the San Mateo campus.